This recipe is so simple to make & works wonders. I love how it keeps our bathroom smelling fresh. PLUS, there are limitless scent options that you can try to suit your preferences. 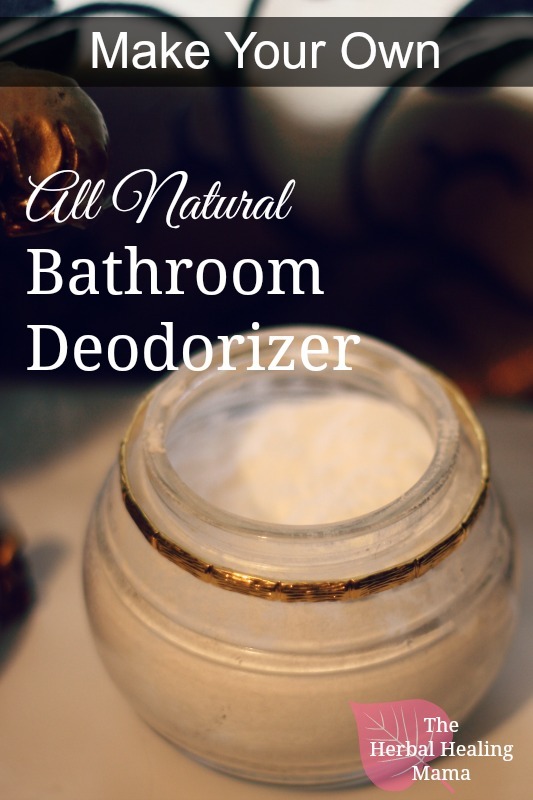 It’s easy for bathrooms to begin smelling musty or yucky. These little jars keep your bathroom smelling fresh & clean. Depending on your bathroom decor, you can find the perfect jar to fit right in. Options are endless. Amazon has a ton of amazing jars and containers to choose from. Fill your container with Baking Soda,with some room left to shake at the top. Add in your desired amounts of essential oils to scent. Open or vent the lid to enjoy the aroma & put the deodorizer to work! If your jar starts losing scent, simply cap the lid and shake, it will re-release the scent again. These should probably be replaced like the baking soda you use in your fridge, after a month or so of use. CARPET DEODORIZER: Using a sifter, this recipe also works well for a carpet deodorizer. Sprinkle (or sift) mixture onto rugs or carpets, let it sit for 10 minutes and vacuum up. The baking soda helps to pull up any unpleasant smells and the essential oils help keep it smelling fresh. MATTRESS DEODORIZER: Additionally, this mix also works amazing for freshening up your mattress. This works the same as the carpet deodorizing. Sift onto mattress, let sit for 10 minutes and vacuum up. What are your favourite scent blends?